There are two ways you can create and edit a drawing list from the Scan module. • Creating or Editing a Drawing List When Loading your Element. • Creating or Editing a Drawing List When your Element is Already Loaded. 1. In the Harmony Scan module, select Edit > Drawing List. 2. 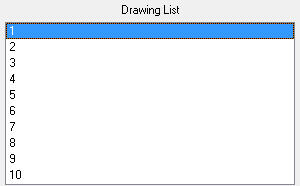 Type a drawing name in the Add Drawing field. 3. Press on Add Drawing. 4. Select the drawings you want to scan. 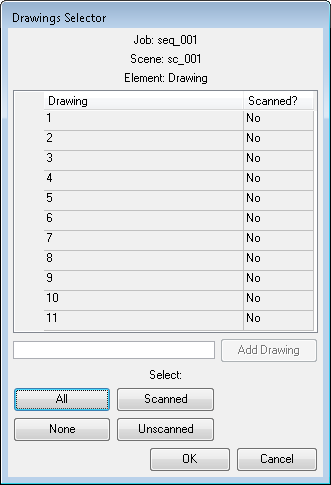 The selected drawings appear in the Harmony Scan module Drawing List.